We have a fantastic range of products focused specifically on exhibitions to help take the hassle out of your exhibition design process. 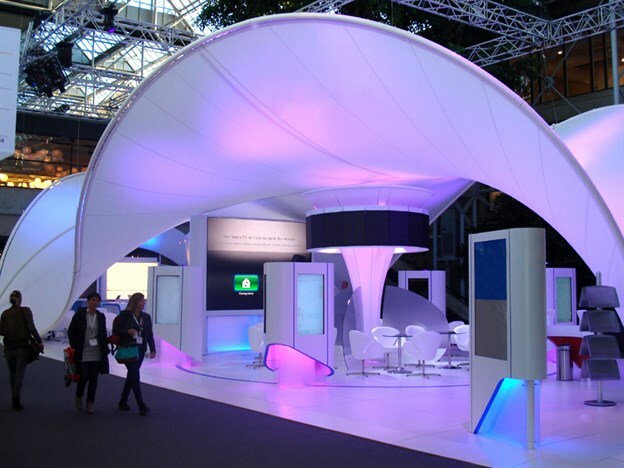 To keep costs down our new range has been predesigned, consisting of 28 different structures: from overhead branding, fabric walls/screens, cones and central features to freestanding canopies and enclosed feature pods. Each shape can be manufactured in a range of sizes and fabric types to suit your needs. The product range is easy to transport, ship, assemble and disassemble. All of the products within our range can be personalised to your specification. Company logos, wording or visuals can be printed onto your fabric structure to create a strong branding opportunity for your client, helping to strengthen their message. All of our pre-designed products are easy to specify and quick to install. We offer value for money and simplicity. Not seen what you're looking for? We do also offer a full bespoke service. 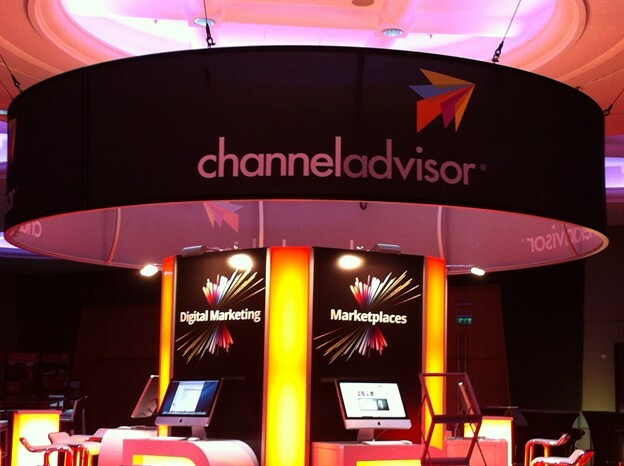 Check out our bespoke exhibition portfolio or contact us to discuss your specific project requirements.